Sea Star offers a smaller version of our light grey crystal designed for ease of use. 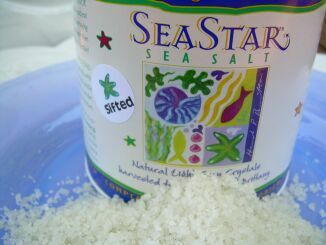 Our farmer has sifted the sea salt to eliminate the larger crystals, leaving only the finest whole crystals behind. Just as whole coffee beans or whole black pepper retain their flavor better than pre-ground products, these smaller yet whole crystals retain all the flavor of Sea Star Sea Salt. Great for professional and home use alike.